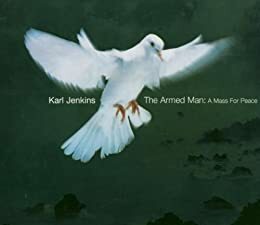 Next weekend, the Marionettes’ three choirs give Karl Jenkins’ new contemporary classic The Armed Man (A Mass for Peace) its Caribbean premiere as part of our anticipated mid-year concert, A Gift to the Nation II. For two nights only (14–15 July, 2012), this celebratory concert comes 25 years after the Marionettes’ first offering of A Gift to the Nation commemorating the 25th anniversary of Trinidad & Tobago’s independence in 1987. Now the Marionettes marks Trinidad & Tobago’s Jubilee with this exciting premiere, together with the debut of our new Children’s Choir and much more. The Armed Man has been called by the UK’s London Times as “a rapturous performance, by turns visceral and ethereal…a firebomb of orchestral and human voices”. This heralded multi-media and multi-cultural work – a deliberate contrast to last year’s lavish production of Bizet’s Carmen – was commissioned for the UK’s Millennium celebrations. It boasts a range of musical styles from across the globe – sung in English, Latin, French and Arabic – and ranging from Palestrina-style Renaissance polyphony, plainchant, medieval ballads, and more, all emphasising what is universal about the human experience. It also is particularly distinctive for its inclusion of multicultural literary, musical and visual elements, including a film developed exclusively for the work; the Islamic call to prayer; the Mahabharata; and text by Rudyard Kipling, Alfred Lord Tennyson, John Dryden, Jonathan Swift, Guy Wilson, and Sankichi Toge, a survivor of the Hiroshima bombing in World War II. The BBC explains its lasting popularity: “it’s musically accessible, and quite a show, particularly when performed live”. Complementing this exciting one-hour work is a showcase of some of our nation’s most talented young people, as the group’s Music Festival Winners take centre stage with their winning performances – including members of the Marionettes’ new Children’s Choir, which makes its debut at this concert series. There will also be a tribute to a legend lost too soon, the one and only Whitney Houston. Joining bpTT in partnering with the Marionettes on this production is a decorated production team including new assistant musical director Enrique Ali, Jane Carter, Leslie Clement, Desmond Waithe, Margaret Sheppard, Noble Douglas, Dave Williams, Randy Halfhide, Celia Wells, and Franklin Agarrat. Tickets are regularly priced at $200 (reserved) and $150 (open plan, with discounts for students and school children (see website for details). Tickets are available from the Marionettes (email@marionetteschorale.com or 868-790-1751), and at the Queen’s Hall Box Office (tel: 868-624-1284), 12–6pm. Showtimes at Queen’s Hall are 7:30pm on Saturday 14th and 5pm on Sunday 15th July. Proceeds from A Gift to the Nation II go toward the Marionettes Property Fund, and the construction of Helios Hall, a secure rehearsal, storage and performance space for the group that it hopes to share with the national artistic community.